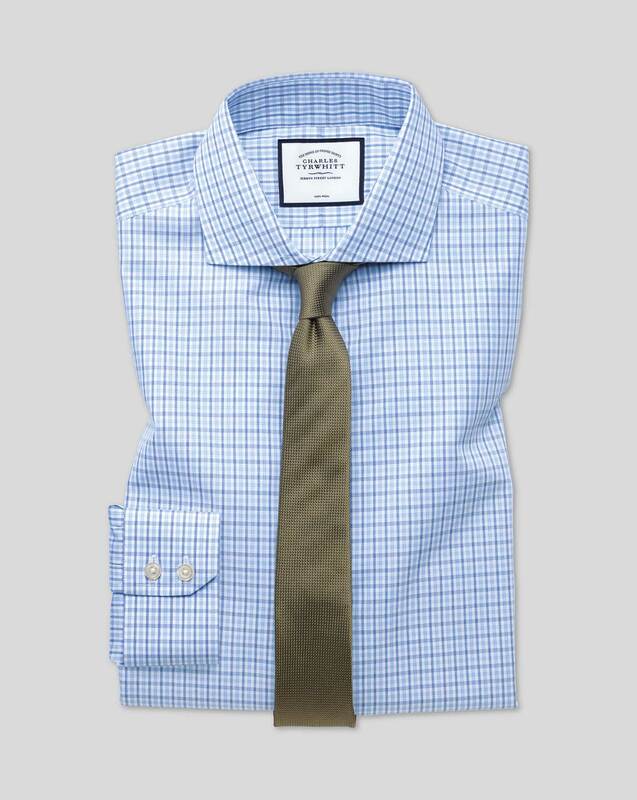 "I tend to skip-walk when I’m headed somewhere in a poplin shirt – even on Mondays. I can’t tell if it’s the lightweight, breathable crisp fabric, the pristine white, the beguiling plain colours or one of the delightful patterns it comes in. Just saying ‘poplin’ is enough to bring a smile to my face." "Made from lightweight yet tightly-woven 100% cotton fabric and absolutely non-iron."